CD ROM's and disks contain enormous volumes of data. Portable and compact, their "exposure" could have potentially devastating effects. Special shredders are required to cut these media so that they are totally illegible. The intimus range includes tried and tested efficient solutions. 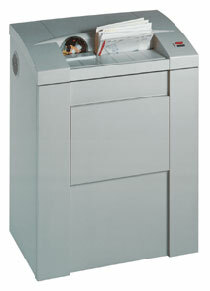 This special purpose shredder is perfect for shredding Paper CDs/DVDs and 3.5" Floppy Disks.